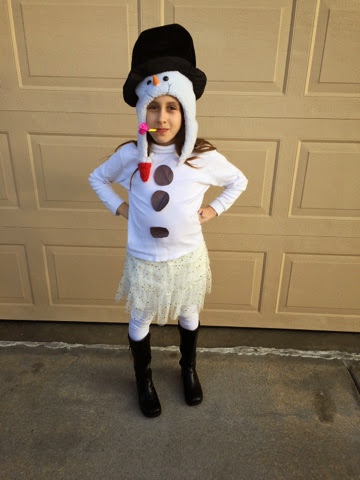 Rebekah's school had "Dress as Your Favorite Winter Character Day" today. Rebekah originally wanted to be one of the scores of Elsa's or Anna's but we don't have those costumes yet (hint for a birthday gift--tee hee). 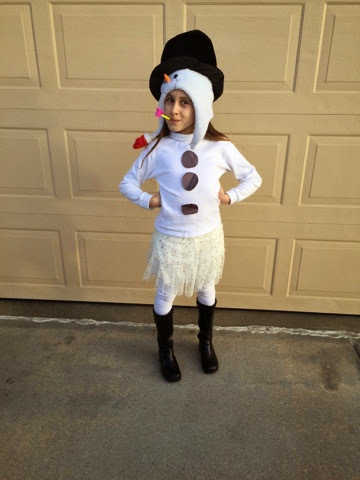 Instead, she went as Frosty the Snowman complete with a bubble pipe. Right down to buttons and boots. I think she looked totally darling.